﻿ Is the Peugeot Metropolis RX-R 400i better than a bike? Tilting three-wheel scooters have been around for a decade or more – stroll through Paris or along the French Riviera, and you'll see loads of them, plus a few in London. 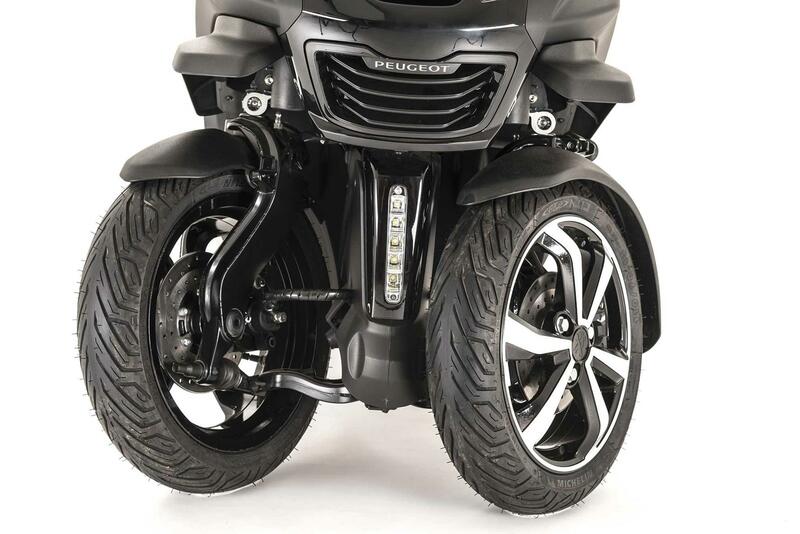 You can drive them on a car licence (the law doesn't even require a CBT) and the twin front wheels promise more grip and stability than any two-wheeler, while keeping the fun of heeling round corners. 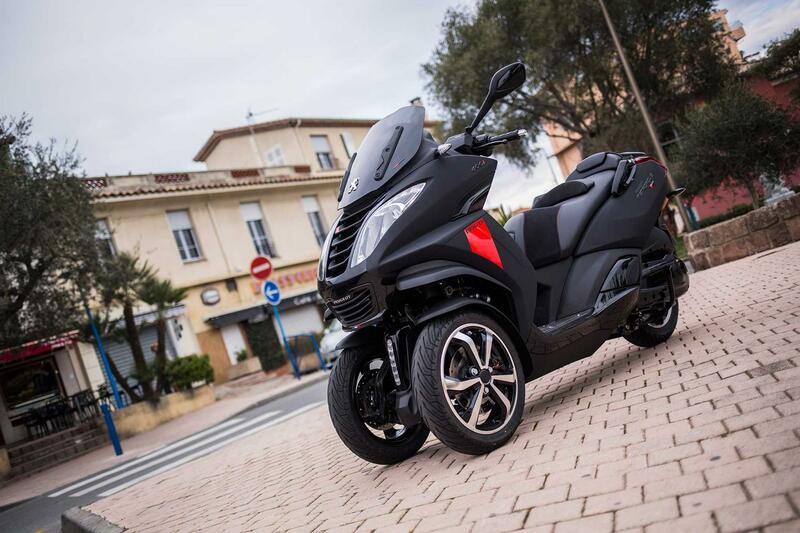 Peugeot's Metropolis is challenging the market leading Piaggio MP3 with a new engine for 2017, plus uprated brakes, suspension and plenty more under-the-skin changes. 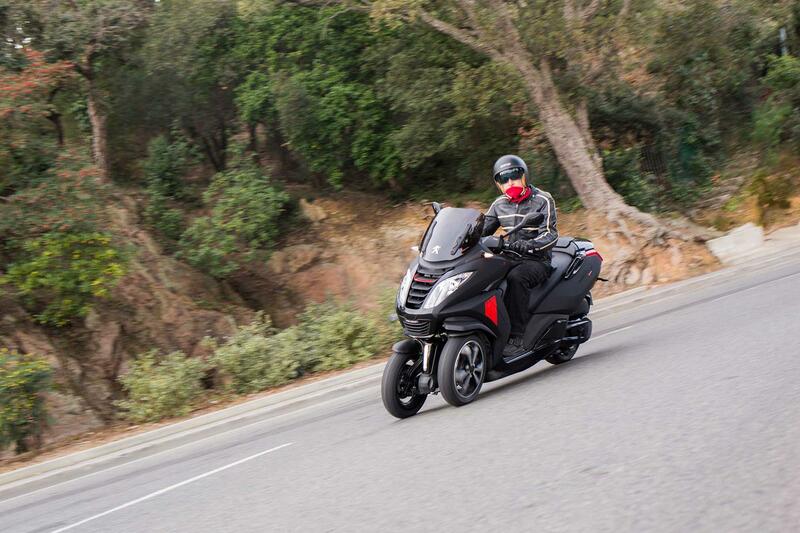 The PowerMotion 400cc 4-valve single musters 35.6bhp and claims a boost in low-speed torque. The Metropolis has always had ABS, but now there's two-mode traction control as well, plus bigger discs and a two-pot rear caliper. Bigger 13-inch front wheels are said to lighten the steering, with revised spring and damper rates to keep it all under control. What's good about this Rokker jacket? To look at the latest Metro, you wouldn't believe any of that, because it looks exactly like the old one – there's a family resemblance to a mid-size Peugeot car, which may or may not be a good idea, depending on your point of view. If you've never ridden one of these tilting trikes before, then do try one, because they can be a hoot to ride, especially in traffic. Although they tilt, you can lock them upright at a standstill, and sit at red lights, feet up. Then twist the grip, it unlocks and you're away without having touched the ground. The Metropolis is a big old beast, with 1555mm wheelbase and 256kg all-up weight, so it's not as nimble as a little 125. But it's still narrow enough to filter through scooter-sized gaps and the lowish seat makes it easy enough to paddle into parking bays. 35.6bhp and 256 kilos doesn't sound like a recipe for sparkling performance, but the Metro is quicker than you might think on the open road. 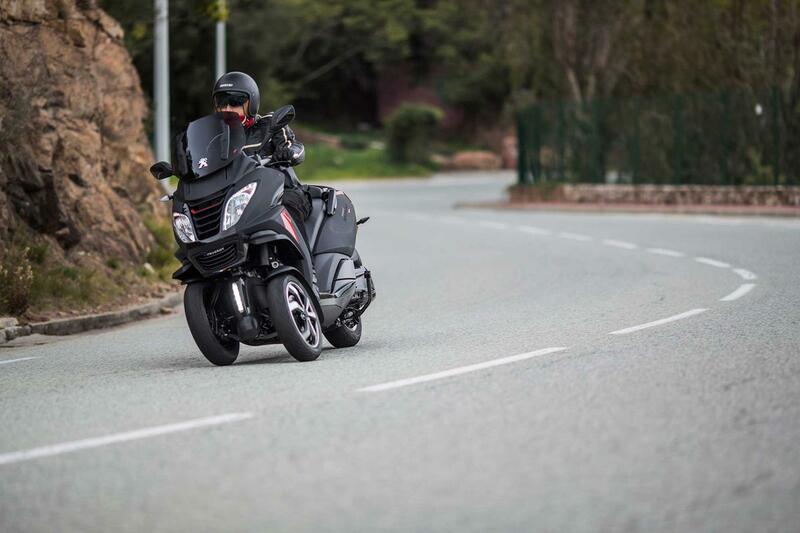 The power delivery is smooth and twist the grip right back for instant overtaking performance, certainly enough to despatch the odd white van on the twisty coast road between Cannes and Frejus. In fact, the Peugeot handles very well. 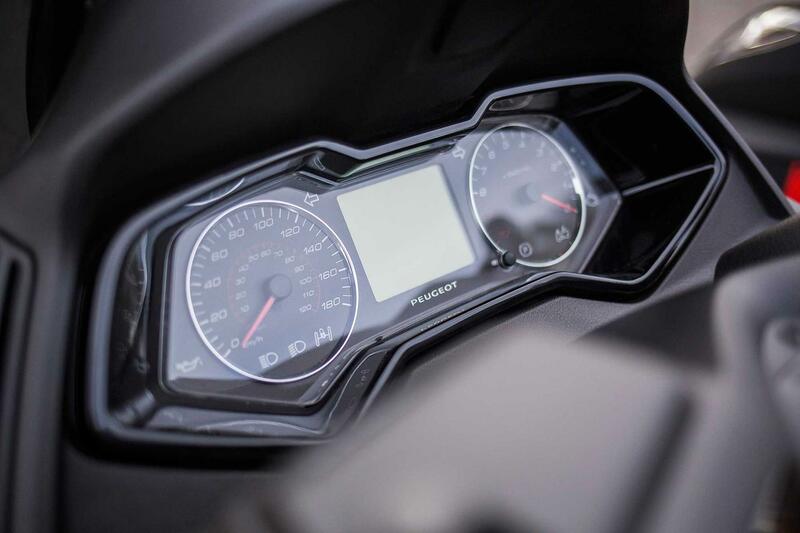 The front end does feel a little heavier and more deliberate than that on a bike, but the payback is brilliant stability and a refusal to be fazed by mid-corner bumps or braking. It's all about confidence, and the Metropolis delivers that in spades. 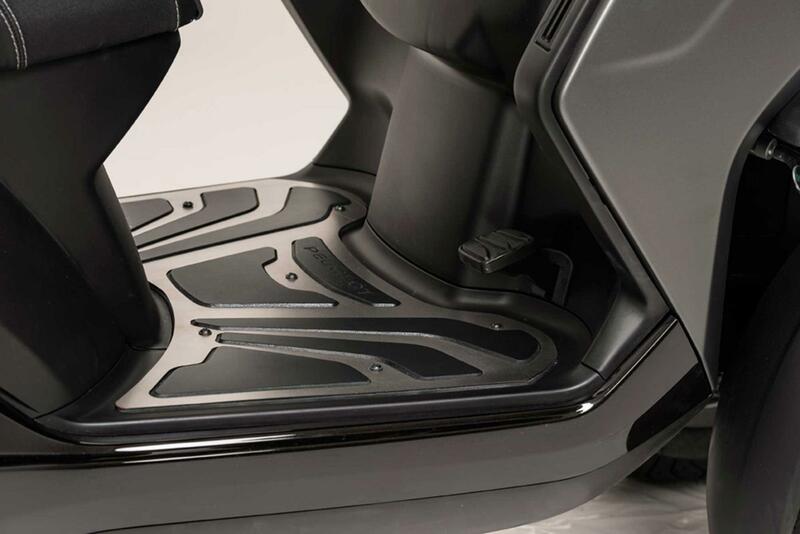 That's backed up by supple suspension (a single spring/damper at the front and twin rear shocks) and very powerful brakes – these are linked if you use the foot pedal (which is more effective than that on the arch-rival MP3), unlinked on the bar levers, which have more feel. Detailing is good, with a hugely informative dash, decent (though not class leading) underseat space and a smart key which doesn't need be plugged in. And though the Metro is heavy, it's got one big advantage over a bike – locked upright, there's no need to balance it while the pillion climbs aboard. It's a state of the art tilting trike – comfortable, convenient and quick enough. What we like? Stability, grip, feet up insouciance. What we don't like? It's still not a motorcycle, if that's what you want and the weight.